The symbol of the Ouroboros (oroboros or uroboros) , the serpent or dragon eating it’s own tail is an ancient symbol seen in many cultures. It represents both devouring and recreating of oneself. 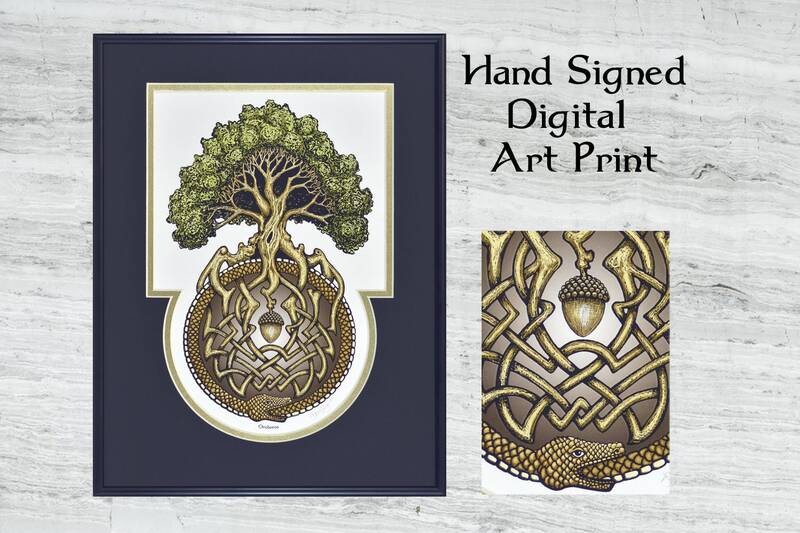 It is seen as the serpent Jörmungandr, one of the children of Loki and the giantess Angrboða, in Norse mythology. Jörmungandr was so large he could circle the world and grasp his tail with his own teeth. In alchemy the symbol is said the represent infinity and wholeness. 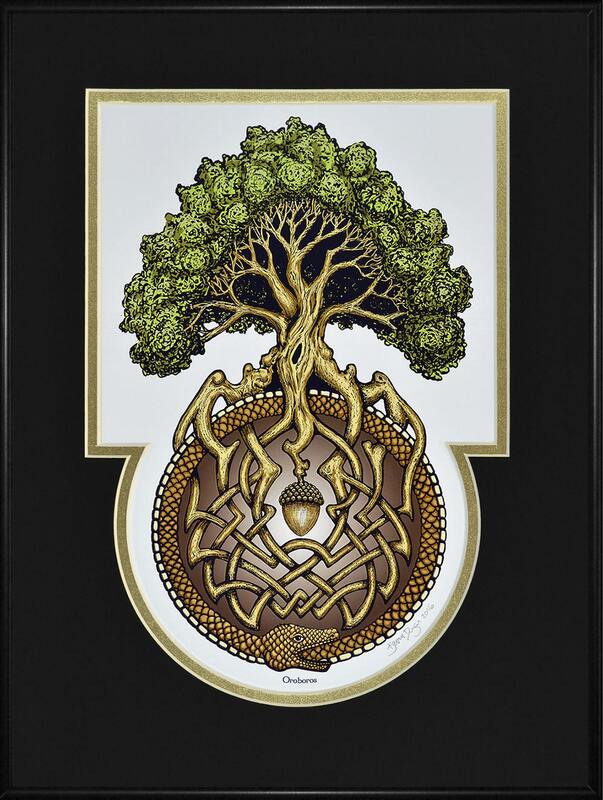 The oak tree, in celtic mythology, represents family, strength, protection, regality and long life. 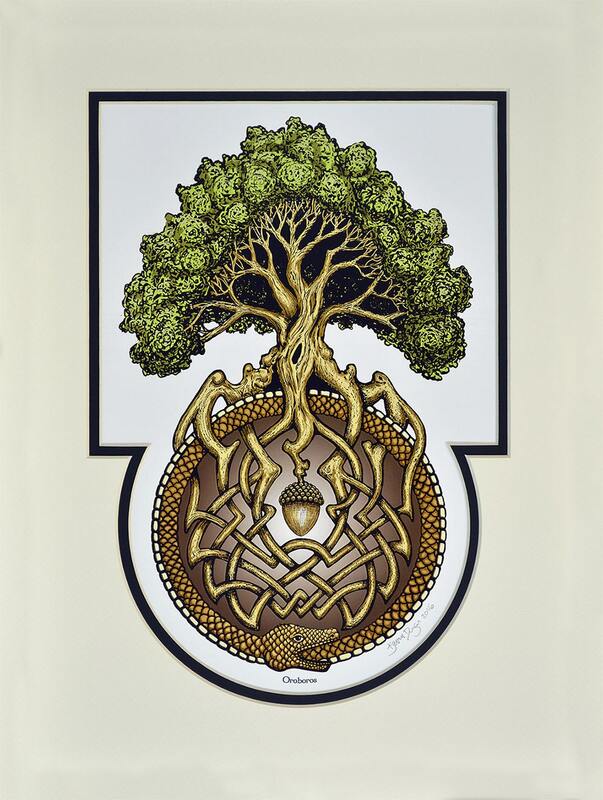 The acorn in the center represents potential and rebirth. These symbols have been used together to represent the continuance of life through clan and family. The completeness and wholeness of the process from birth to death that endlessly sustains the clan as a whole. Once framed this will be an exquisite addition to my Celtic wall! Beautifully printed and framed. Nicely done.